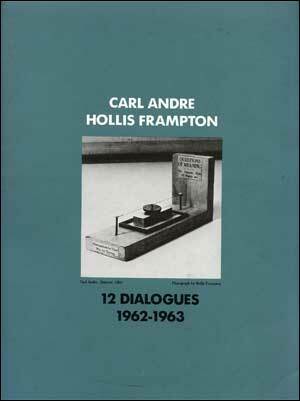 Twelve conversations between the minimalist sculptor Carl Andre and his close friend, photographer-filmmaker Hollis Frampton, about sculpture, photography, painting, music, literature, poetry and film. The two generated the dialogues over the course of a year, from October 1962 to September 1963 mostly on evenings and weekends in Andre’s one-room apartment in Brooklyn. A number of the dialogues begin with a discussion of recently shared art encounters, proceeding to examine a wide range of topics, including the development of avant-garde aesthetics, the significance of Duchamp, the legacy of the New York School, the relevance of photography, etc.